I receive several e-mails each month from family members asking what they should do with their deceased loved one's Masonic regalia or jewelry. 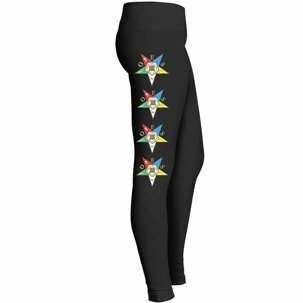 For those of you who find yourself in this position, I hope you will find this page to be helpful to you. If you're curious about the cropped photo, above, it is owned by and courtesy of the Oslo Museum. 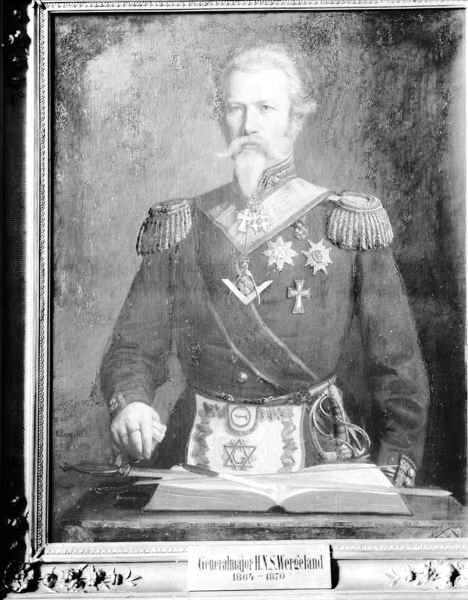 The man in Masonic regalia and jewelry is General Major Harald Nicolai Storm Wergeland. (1814-1893). He was a Norwegian military officer appointed by King Oscar of Sweden and Norway, a politician, a mountaineer and a Freemason. If you would like to know more about his life, you may read more about him at Wikipedia: Harald Nicolai Storm Wergeland. 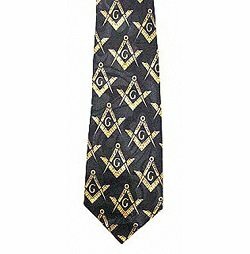 Masonic regalia includes Masonic aprons, jewels, implements and hats appropriate to one's station or office. If you have an item of Masonic regalia which you have inherited from a family member who has passed on and are unsure what to do with it, here are some suggestions. Display the piece in a glass-encased shadow box wall hanging in your home or office. You may consider gifting it to another family member who is a Freemason by keeping it for a child who may, one day, become a Freemason. Many people ask if they can wear a Masonic ring as a memento of a deceased loved one. 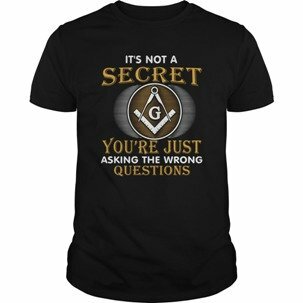 Typically, the wearing of Masonic jewelry by a non-Mason is not considered proper Masonic etiquette in the eyes of the Craft. However, it is your property, and ultimately this is your decision at your own discretion. Some lodges choose to display items such as vintage Past Master aprons from their past members upon their lodge walls. 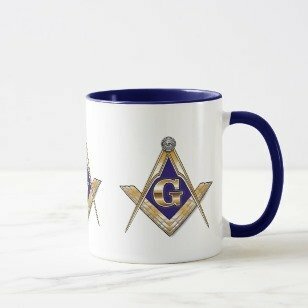 Contact (write or call) the lodge where your family member maintained his membership and ask if they would like to have the item for display purposes. To find lodge contact information in the United States, see my Masonic Lodge Locations page. In the United States, you may also look in the telephone book for a lodge near you in the Yellow Pages under Associations, Fraternal Organizations or under Lodges or in the White Pages under the lodge's specific name. To find lodge contact information in other countries, see my World Grand Lodge List. Choose the link which best fits your area of residence (your state or country...whichever is applicable), click on that specific Grand Lodge link, ...then when you arrive onto the Grand Lodge website, look for links that say "lodges", "subordinate lodges", "district lodges" or "provincial lodges". Click on the most appropriate choice to find your specific lodge's contact information. If you do not know the name or location of your family members' lodge,...if you are in possession of the deceased members' Masonic Bible or Holy Book, the lodge name will, most probably be written into it. If your family members' lodge does not have an interest, and your Masonic regalia and jewelry is quite old (50+ years), you may wish to contact the Grand Lodge in your state. If they have a Grand Lodge museum, they may wish to display it for others to enjoy. 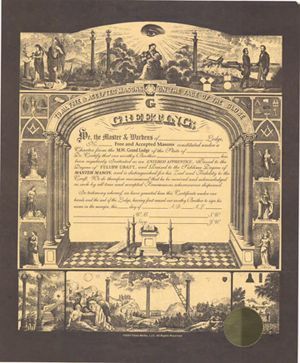 For Grand Lodge contact information, again, see my World Grand Lodges page. ...and many other unique pieces of Masonic jewelry. Have It Appraised: If your jewelry is gold or sterling silver, look inside the band of the ring for a Jeweler's hallmark and engraved lettering which will say 14kt, 10kt, etc. If you believe the item is gold, sterling silver or if it is set with gemstones, have it appraised by a reputable jeweler so you will know its worth. Ask The Jeweler To Make An Offer: While visiting your local jeweler, ask if he/she would be interested in purchasing the piece and what he/she would be willing to offer you for it. If it is a piece of antique Masonic jewelry, though, unless you need the money, immediately, you would be best served not to sell it until you have checked out a comparable piece of antique Masonic jewelry on E-Bay or other reputable online auction websites. Usually you will receive more money from selling it on an online auction site than the jeweler would be willing to offer you for it. Gold Masonic Rings: With the skyrocketing price of gold, if you have genuine 10 karat or 14 karat gold Masonic rings, rather than an electroplated Masonic gold ring, ...especially if your ring is scratched or missing any of its gemstones, you may consider selling the ring for its gold content. Some jewelry stores and many pawn shops buy Masonic jewelry for its gold content. 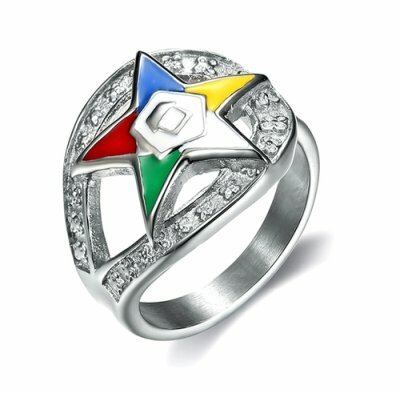 Silver Masonic Rings: By weight, sterling silver is not as expensive as gold. However, silver Masonic rings may also be sold for their silver content. Usually, though, unless the ring is scratched or missing gemstones, you will receive more money for your ring by placing it on E-Bay, Craigslist.com or other reputable auction or sales websites. Past Master's Jewel: If you are in possession of a Past Master's Jewel which you wish to sell, most jewelry stores are unable to resell these because very few of their customers are in need of one. 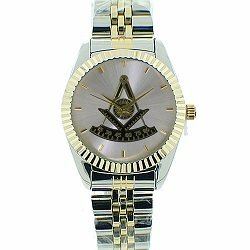 Therefore, you will most probably receive more money from selling Masonic regalia and jewelry via an online auction website such as E-Bay or other popular online buy and sell sites such as Craigslist.com and others. These Masonic regalia and jewelry items were important to your loved one,... not for the precious metals or gems that they contain, but as an outward sign for the world to see of the principles that he or she upheld during their lives. Should you decide to sell the item, I am sure your loved one would like to see you properly compensated for it. Click on the links, below to view photos of antique Masonic jewelry which other people have sent in. If you enjoyed this Masonic Regalia and Jewelry page and want to share it with your friends, feel free to do so.